1 Walmart Call In Number. 3 How to Call in Sick/Report and Absence on Onewire Walmart. 4 The Walmart Ethics Hotline. 5 Walmart Customer Service Phone Number. How to reach the Walmart Associate Hotline Number, to call in sick. Walmart associates and employees have a variety of phone numbers to chose from, if they have a problem or if they want to call in sick or report an anasence or tardy. The Walmart ‘Call In Sick’ Number is: 1-800-775-5944 or 1-844-292-4796. When phoning the call-in number, you will need to enter the last four digits of your social security number. Then, enter the month, day, and year of your birthday, as well as your store number. A confirmation number will be issued, and you will be transferred to your store, and then your manager. You can also log in to the WalmartOne.com portal and report your tardy or absence from online. How to Call in Sick/Report and Absence on Onewire Walmart. 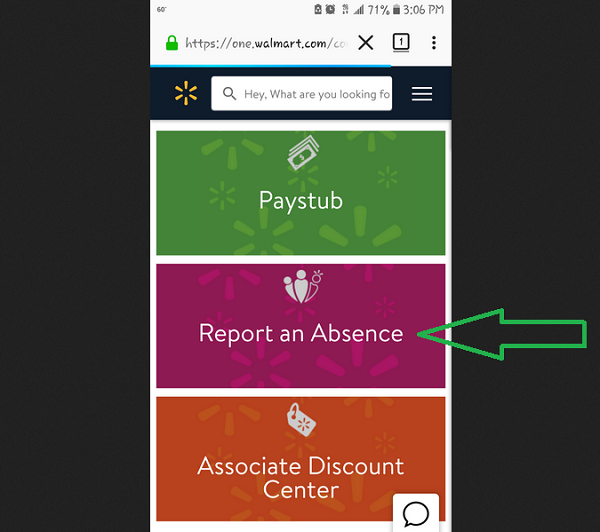 Witht the new Onewire Walmart portal replacing Walmart Wire and WalmartOne, you can now report an absence/call in sick online through your home computer or mobile phone. First, you will need to have signed up for 2-Factor-Authorization on a Walmart work location computer. Click on the Spark logo and log in. Click on “Report an Absence”. After logging in to Onewire, click on “Report an Absence”. Note: You have a period of 14 days after you missed a work day to put in a request for PPTO (Paid Personal Time Off). Putting in a request for PPTO won’t count against your attendance. Walmart Ethics Phone Number is: 1-800-WM-ETHIC. The Walmart Ethics phone number is used by associates and customers, who wish to report a ethical issue or problem anonymously. You can also fill out a report at www.walmartethics.com/ReportAConcern..aspx or send an email to ethics@wal-mart.com. The Walmart Customer Service number is: 1-800-WALMART or 1-800-925-6278. This number is the primary customer support and associates help line. Press 3 to get through to the hot line for current and former Walmart employees. If you are having problems with signing in to the WalmartOne Associate Website, you can call the WalmartOne support department on: 1-800-530-9929 and press 2,2. If you are shopping at Walmart.com and want to apply your employee discount, you can do so here. Enter your Associate ID and Associate Card number to proceed. As a New Employee, you can have up to 4 occurrences/’tardies’ (3 is the maximum), before you can be terminated/fired in a rolling six month period. But this is only if you finish your Pathways within those first six months. If you do not complete your Pathways in the first six months, then your allowance of occurrences will stay at up to 4 until you finish your Pathways. Whn you have finished your Pathways and stayed at Walmart for 6 months, you can have up to 9 occurrences in a rolling six month period. A ‘rolling six month period’ means simply that when you get an occurrence, then that 1 occurrence will drop off six months later. Please share your experiences, or questions about, the Walmart Associate Call in sick number/Walmart Call Out number, in the comment section. Hi, how do I report that I am sick through the associate portal? I just used the wallmartone.com to report a sick day. Click the WORK tab below your profile information, select third block (top right) “Report an Absence”, the system then auto fills your WIN #, name, and store. You then select from 3 drop down options, tardy/absent, today/tomorrow, and then the reason. No calls, no waiting on hold, it gives you a conformation number and informs your stores management for you. Pretty easy, though a little tricky to find. need a copy of my w2. W2express not allowing me access. I requested at last club worked but I am not in their system. I just returned from overseas. I have called in and got a confirmation number..but my store manager said they don’t see it in there system?? What do I do?? ?